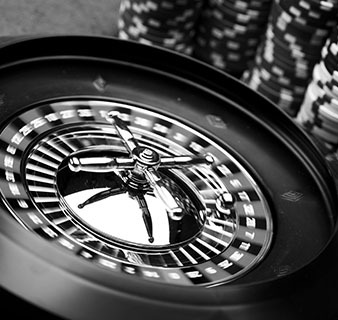 The Table Management module aims to cover all aspects of managing and monitoring of live games within a casino, based on the particular procedures and regulations imposed by regulatory body or desired by casino management. a. Accounting of all transactions concerning tables related to chips, cash, plaques and calculation of table results on a daily basis. b. Table result estimation throughout the gaming day allowing for immediate corrective actions in case wide deviations from expected statistical results. c. Optimum management of tables providing to the casino management the necessary historical data necessary to make decision on basic table management parameters that affect the performance of a table, such as location, game type, minimum bet. Data processed by the Table Management module are available and used by the other modules Surveillance, Player Tracking, Cage Management. Furthermore, information from tables transaction on a daily/hour basis are available to the Business Intelligence module for further use in business decision making. • User management of table related information such as: Game type (American Roulette, Black Jack, Poker, etc), casino area (VIP, main floor, etc,), pit, table number, chip denomination, minimum allowed bet (min bet), maximum allowed bet (max bet), manufacturer’s serial number, status (in operation, in storage, for repair, etc). • Flexible definition of live games operation procedures: fixed open float, monetary units allowed or not allowed at the table, table statistical factors (house edge, hands per hour, etc) allowing easy implementation to the system of existing manual procedures. • User definition of game parameters without the need for a new software update in case of a new table game. • Management of human resources related with table operation (pit boss, dealer, assistant dealer, and inspector) and correlation by operation session of each table. • Parametrical layout design of printed forms by table movement (i.e. field labels, number of copies, persons who sign to authenticate the transaction). • Capability for transactions management either directly from the chip bank (for small casinos), or by electronic requests of the pit boss to the chip bank serving the specific pit. • Real time table result and table float estimates calculated by combining registered table movements (opens, fills, credits) and estimates of drop and table float using various methods according to casino operation procedures. • Powerful reporting tools for analysis of tables results by time period, casino area, game type, by comparing actual results to table estimates and theoretical results. • Complete table accounting, based on parametrically designated movements. All transactions are linked with a unique number (ID) by movement, prohibition of movement deletion allowing movement cancelation only through specific access rights. • Detailed audit report mechanism allowing for a complete audit trail by table, user, movement type, movement value. • Tools for visual presentation of casino layout presenting the status of each table. • Messaging system for informing Surveillance of table transactions.